The armagnac, 1970 Armagnac Dupeyron Millésime 200ml ($58.52), is produced by Ryst-Dupeyron with origins in France showing an alcohol content of 40%. 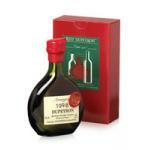 According to Uvinum users, the 1970 Armagnac Dupeyron Millésime 200ml deserves an evaluation of 4 of 5 points. 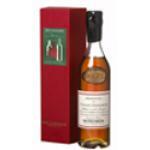 Dupeyron Armagnac 200ml Millésime 1970 is developed by Family Ryst-Dupeyron, one of the oldest houses of Armagnac. Dupeyron Armagnac 200ml Millésime 1970 is part of one of the largest collections of Armagnac Millesimes there, covering most of the vintages since 1850. For 5 generations, these distillates are produced in the cellars of the Maison in Condom, in the heart of the Armagnac region. 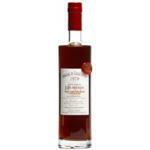 This Armagnac is characterized by its characteristic aromas of plum and vanilla, and taste strong, round, that needs no explanation. Ideal for eating with a good meal, or a cigar. The Armagnac Dupeyron are high, for 5 generations, in the cellars of Condom, in the great tradition. Scents of prunes, vanilla emerge from these elixirs. They are high fashion Spirits. They represent the epitome in water of life. Consume digestive, accompanied by a cigar. It is a gift product. I have not yet collected the views of the intended recipient. I will share soon. 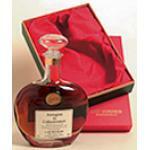 -Color: 2002 Armagnac Dupeyron Millésime 200ml has an attractive golden color. -Olor Perfumes of red fruits predominate. -Taste: taste is fruity and smooth taste. -Olor: Aromas of caramel are revealed. 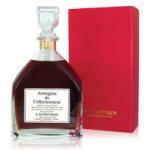 If you want to buy 1970 Armagnac Dupeyron Millésime 200ml, at Uvinum you will find the best prices for Armagnacs Ryst-Dupeyron. Get it at the best price at Uvinum, very easy and comfortable via any device. We bring you the largest catalog of more than 59.000 products and we are the leaders in sales of wine, beer, and spirits in Europe with 38.000 clients who discovered their favourite wines at Uvinum.